Ardeth Greene Kapp is a member of The Church of Jesus Christ of Latter-day Saints. She recently returned from the Canada Vancouver Mission, where her husband, Heber, presided from 1992 to 1995. Before their mission, Sister Kapp served as general president of the Young Women organization of the Church. A popular author and speaker, she has written several books, including My Neighbor, My Sister, My Friend; The Joy of the Journey; and What Stripling Warriors Learned from Their Mothers. In 1992, after many years of Christmas in Utah, Heber and I returned to Canada, where we would be for the next three years. This time we were not in Alberta but in British Columbia, and we were not with our family but with over four hundred fifty wonderful missionaries over the course of three years, who indeed became our family. Through that experience we became awakened to a new and wonderful dimension of the idea of being home for Christmas. A mission would bring the first Christmas away from home for most missionaries, maybe all of them. It would be quite a different experience from the traditions of family gatherings they were accustomed to. I wondered: Can a branch of a pine tree, tied inartistically with a bit of red ribbon, and a candle on a table in a humble missionary apartment make a Christmas? Would they hang their stockings, and if they did would they fill their own or each other’s? What about the lights on the tree they were used to? What about all the good food? Could they experience a real Christmas away from all the family traditions that seem to make it real? Our mission covered a very large area, some of it accessible only over snowy and treacherous mountain roads. We couldn’t bring the missionaries all together, but we could go to them and meet in small groups. Could this be like Christmas, I wondered? We began our zone conferences early in the month of December. After the usual training, we gathered together for a Christmas program, hoping to create a spirit that in some way would focus on the true meaning of Christmas without fueling the feeling of homesickness that was already obvious in the countenances of some. The program began with a readers’ theater. Each one, taking turns, stood and read a part of the Christmas story, first from the Bible and then from the Book of Mormon. Hymns were sung at appropriate intervals, supporting the message being read. In some zones, soloists added greatly to the quality of the performance. 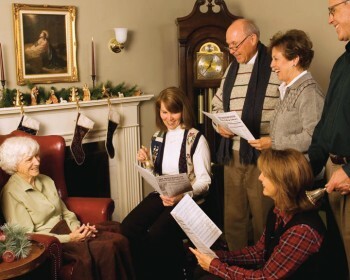 In each small gathering of young elders and sisters, the zone leader addressed the group, speaking with excitement, enthusiasm, and conviction of the plans for a white Christmas. In the northern end of the province, there was no question they would have a white Christmas. They could have a white Christmas on the First of July (Canada Day) it seemed to me. In Vancouver, it wouldn’t be snow but rain for sure. But the zone leader (each in turn) was undeterred, insisting it would indeed be a white Christmas. Then he would clarify: Can you see yourself dressed all in white? he asked. Can you see yourself with the investigator you are teaching, praying for, and loving with all of your heart? Can you see him or her also dressed in white, ready to enter the waters of baptism together? 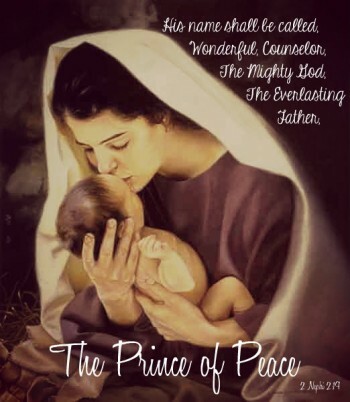 Can you feel the joy of Christmas in the greatest gift ever given? Will you strive to bring that gift of eternal life to a brother or sister this year by your diligence and obedience, as you teach with the Spirit and testify of what you know to be true? As each of these young leaders stood before his group and spoke of a white Christmas in his own way, the message was clear. This is the season we commemorate Christ’s birth, his mission, his life, his love, and his atonement, one elder explained. “For behold, the field is white, all ready to harvest,” and we can have a white Christmas, he insisted. They didn’t talk of turkey and trimmings; they spoke of fasting and prayer. They didn’t speak of packages to be unwrapped, but of gifts of the Spirit. They didn’t speak of spending but of saving—saving souls. In the beautiful city of Vancouver, about twenty of the foreign-language-speaking missionaries stood on a platform in the center of the large mall and sang songs telling of that holy night. These young men, in white shirts and dark suits, sang to the passersby in their own language, first in Mandarin, then Cantonese, then Vietnamese and Spanish. People stopped, listened, felt something inside, and wondered and lingered. It was easy to step up and simply say, Would you like to know something about these young men, and why they are here, and the gift they have for you? Some agreed to have the missionaries come to their home and bring the “gift”: a message of hope, of peace in a troubled world. The message of eternal life, the restoration of the gospel of Jesus Christ for all mankind in every language and every land. There were many dressed in white who entered the waters of baptism that Christmas season. It was a white Christmas for sure, with nothing missing. Everything that mattered was there and so much, much more. If we were not home for Christmas, surely we felt closer to our ultimate home than ever before. I began to review in my mind the highlights of my childhood memories of Christmas, and in a magical way it was as though every piece was in place, now magnified by years of experience. I met a Chinese couple, recent converts, who took me in memory to dear old Brother and Sister Opstal. I couldn’t understand their broken English, and I didn’t have a pie to give them, but the gift the missionaries gave them of the gospel of Jesus Christ filled their eyes with tears of joy and gratitude. I understood better now why there were tears in Sister Opstal’s eyes. We didn’t have musical accompaniment except for the piano—no family orchestra or grandpa to lead the music—but the Spirit was surely present at each zone conference as the missionaries stood and sang the songs of Christmas. They always ended with “Silent night! Holy night! All is calm, all is bright,” which seemed to open a conduit between heaven and earth. They didn’t sound like the Tabernacle Choir, and they couldn’t sing the Hallelujah Chorus, but as I listened, not with my ears but with the Spirit that was present, I wanted to stand and shout “Hallelujah” with an increasing sense of the true meaning of Christmas. There were few, if any, of the traditional Christmas lights to adorn the humble apartments of these young missionaries, but the traditional Christmas lights would be paled by the light that shone in the eyes of the missionaries and the newly baptized members as they came forth from the waters of baptism. It was a light penetrating the darkness of the world not just at Christmas time, but all year long. One Chinese brother, a convert, had lost his wife through cancer just before Christmas. Funerals are hard at any time. I stood and looked at the coffin so beautifully lined with white satin, and the memories of my childhood Christmas played across my mind. Now the thoughts of death brought to mind the message of eternal life and the deeper understanding of the Christmas story. Christ’s life, his mission, his death, his resurrection, and how the meaning of the atonement takes away the fear of death, especially atChristmas time. It was explained to the children that their mother had returned home, home to our Heavenly Father. She would be home for Christmas. The missionaries received boxes of socks and ties and broken cookies, but their list of wants this year could not be purchased with money. At the close of each day, with our energy spent, we found ourselves on our knees in lengthy prayer as we pleaded for our little band of stripling warriors in the great army for Christ, both as a group and individually. Looking back now, I see that Grandpa’s prayers were not so lengthy as I had remembered them being. The days were marked off on the calendar as Christmas came and passed. We waited anxiously for the letters the missionaries wrote each week, reporting on their highs, their lows, their successes, their discouragements, their challenges, and their victories. After many weeks it became quite easy to detect in the first sentence or two the success or struggle that contributed to the “growth experience” that week. Then the letters following Christmas began to arrive, and with few exceptions the same messages were repeated over and over: “My best Christmas so far.” “I’ve never had such a feeling of love as I’ve had this year.” “It never gets better than this.” “This was a real Christmas.” These young men and women celebrated the birth of Christ as they represented him and testified of him, as they invited others to follow him. They knocked on doors and exclaimed, “We have come with a message from Jesus Christ about his birth. May we come in?” With this simple and sincere approach, they did enter into the homes, the hearts, and the lives of many. They taught of home, our ultimate home, and our family relationship. Another year came and went. It was one week before Christmas in the second year of our mission. New missionaries were arriving and others were returning home, having completed their missions. Something wonderful and magnificent happens for missionaries between the time they arrive in the mission field and that day (which initially seems so far away) when they return home. Their experience is paralleled in the story of the wise men. Let me explain. Matthew gives the account of the wise men going in search of Jesus. They found him and offered him their gifts of gold, frankincense, and myrrh. “And being warned of God in a dream that they should not return to Herod, they departed into their own country another way.” (Matt 2:11-12.) While Matthew says correctly that they took another route to avoid King Herod, there is a more significant message in this account. The wise men, having found the Savior, went home “another way.” Having found the Christ Child, they were never the same again; they could not go back to their old ways. During a mission, during the days and weeks of tracting and teaching and struggling and growing and testifying of Jesus Christ; through the experience of being filled with the power of the message confirmed by the Holy Ghost, even when it seemed stormy outside; through the experience of feeling they were off the highway in a snowbank, with the passersby shouting words of disgust and abuse—through all this, yet the missionaries found Him. It was not as a babe in a manger, as the wise men found, but they found him and we heard them testify, “He is my Lord, my Savior, my Redeemer, my God.” They found him and were ready to return home “another way,” filled with a witness of the Spirit they could not deny. They came as young men and women, became true disciples of the Lord Jesus Christ through their missionary experiences, and would return home another way. “Will there ever be another Christmas like this one?” questioned one, bearing testimony of the power of the Spirit he had come to know. It is in the mission field that we all come to know him better, remember him more often, and serve him every day, sharing his message not just at Christmas time but all year long. If we will do that, not only as missionaries, but as their “fellow servants,” we will find him in our hearts and in our homes and in our lives. If we will bring our gifts—not of gold, frankincense, and myrrh, but of service, sacrifice, love, testimony, and good will—we will find him and go home another way. The little pillow still hangs on my fireplace with the message, “All hearts return home for Christmas.” When our hearts are right we can be home for Christmas every day.